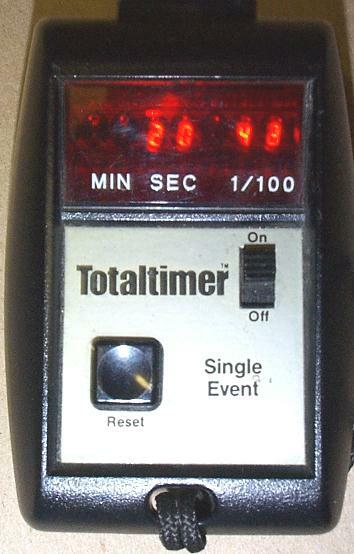 I'm interested in 1970's-era digital stopwatches. If you happen to have one of these old timers that you'd like to find a home for, even if it's not working, please send me an e-mail. 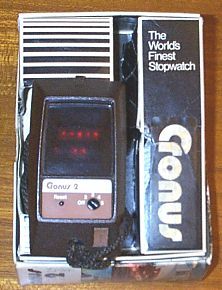 Some manufacturer names include Cronus and Heuer. 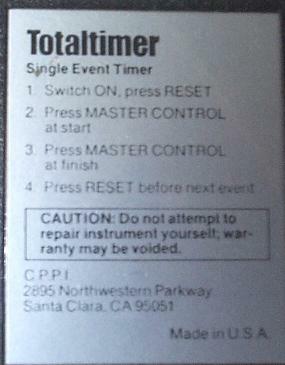 Click here for information on the Intersil ICM7045 precision timer integrated circuit from 1974. This is a very early (1973) digital stopwatch that uses a Panaplex-type gas discharge display. It requires four 'C' cell batteries. This particular unit has a broken battery tab. Any idea where I can find replacements? 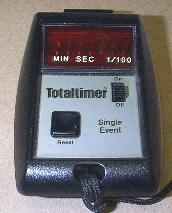 This is a retro stopwatch with a red LED display. It's powered by three AA-size batteries. As the front indicates, this is a single-event timer. The start button on top starts and stops the timing. A third press of the button resets the timer to zero. Each of the seven LED digits has it's own tiny round magnifier lens, similar to early electronic calculators. CPPI appears to have later moved to Pleasanton, California. 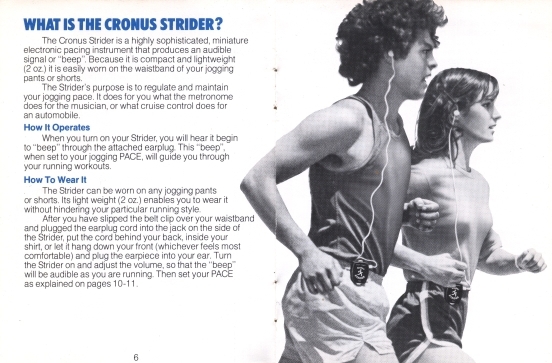 Cronus also made an adjustable metronome for joggers called the Strider. 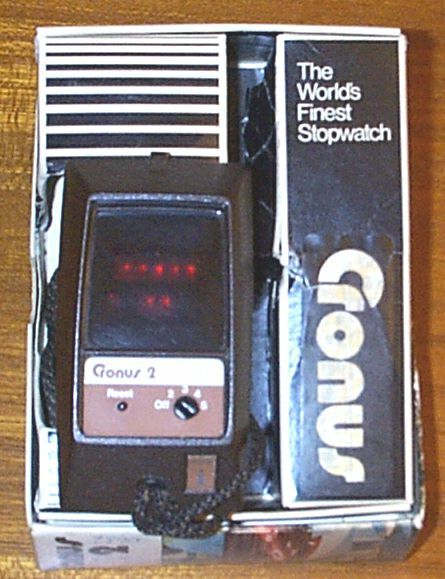 While not a stopwatch, it was an interesting application of technology to fitness training. 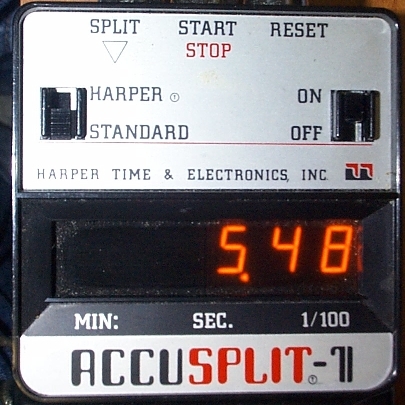 Heathkit made a handheld digital stopwatch in the late 1970's. This is the ad copy from their 1977 catalog. 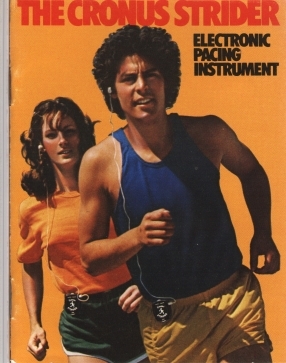 I have a Curtis Matheson Scientific Electronic Digital Stopwatch, catalog number 392-936. Click here for the wanted page.